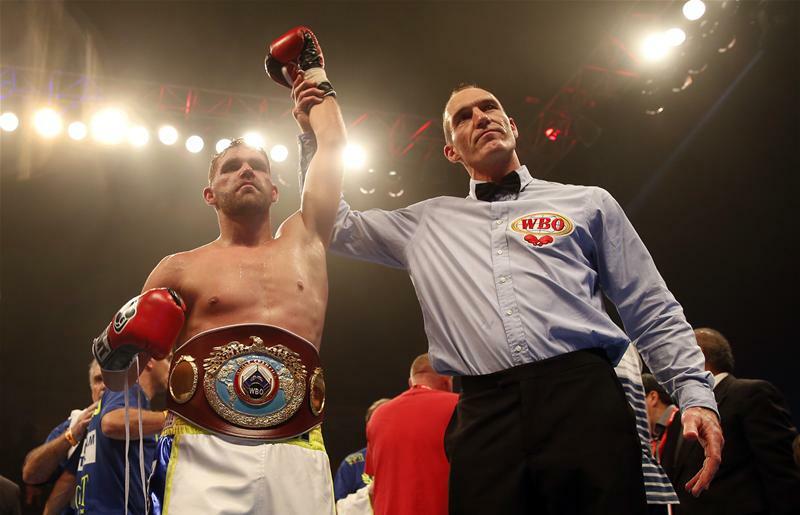 Billy Saunders (23-0, 12 KO), despite a promising start, barely got past Andy Lee (34-3-1, 24 KO) to obtain the WBO middleweight title. The first round saw very little action and illustrated what the rest of the fight was to be. Both men measured each other with the jab and use their left hands for power, either following a jab or as a counter. A right hook from Saunders in the last fifteen seconds was the most notable punch landed up to that point. If it were not for round three, a split draw would have been the likely outcome. For Saunders managed two knockdowns of Lee. The first came with 1:20 left – a short jab-hook with the lead hand that was a counter to Lee's overhand left. Lee was downed twenty seconds later from a straight left hand. Lee escaped the round as Saunders wanted to avoid being caught by a counter in the process of trying to take Lee out. But after that Saunders only managed to win round eight convincingly. The law of statistics seemed to work itself out that Saunders would be awarded rounds here and there if the rounds were close, and he was already ahead Lee was more comfortable, more desperate, and thus more active in the last four rounds. Lee's late comeback was not enough as the judges scored it 113-113, 114-112, 115-111. He cost himself with the knockdowns and a lack of activity early. Perhaps Lee's deficit in speed was such that he could not lead and move. Too much was Lee trying to counter the smaller Saunders by allowing Saunders to come to him. If fatigue was the source of Saunders' low punch output late, it would have behooved Lee to force Saunders to work more in the beginning by initiating his offense first and moving to maintain distance. Sans the knockdowns, this would have allowed Lee to pull ahead down the stretch. On the other hand, Lee's lankiness made him slow to recover when he committed, which is what allowed Saunders to drop Lee between punches in round three. There are two parties interested in Saunders: Gennady Golovkin and Daniel Jacobs. Golovkin sees little value in Jacobs himself unless Jacobs wins another non-WBA title. As the WBC champion, Saul Alvarez is Golovkin's top interest, although Golovkin will need a partner in the interim. Saunders would not be favored either Golovkin or Jacobs. In Jacobs, he has an opponent that can match his speed and surpass his punch output. Saunders' low work rate is not conducive to him being active enough on the inside with Golovkin. He would assuredly have problems boxing Golovkin entirely on the outside. One would have also liked to see more feints. The best bet is that Golovkin fights HBO fighter Tureano Johnson, his mandatory. Even if Jacobs were willing to meet Golovkin, it makes more sense for him to challenge Saunders and Chris Eubank Jr.
Other options for Saunders include a rematch with Lee or to face his top contender, Arif Magomedov.